For Kaase, the prospects of entering this new world came in 2015 when his engine shop was approached by the West Palm Beach-based Miss Geico power boat racing team. 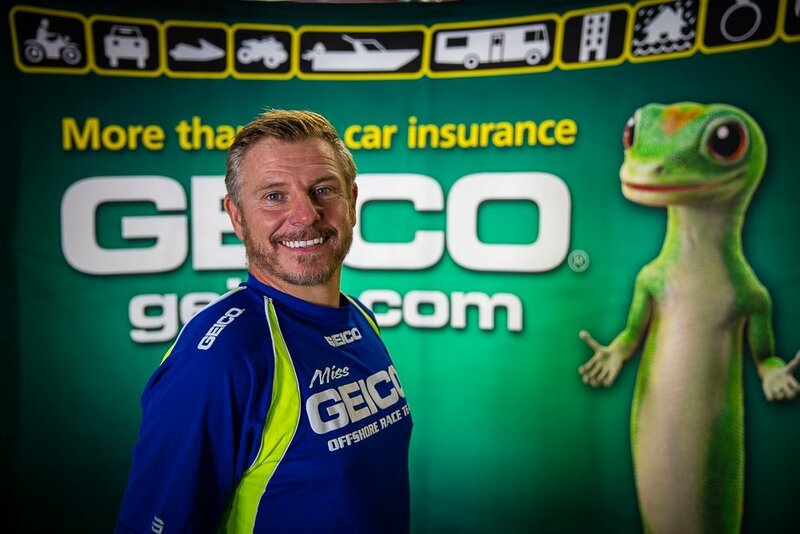 Though the team’s engines were fast they were not always reliable, so their crew chief, Gary Stray, then contesting his fifth season with Miss Geico in the premier class, flew to Kaase’s north Georgia location for discussions. His race boat team urgently needed an injection of top-flight talent. 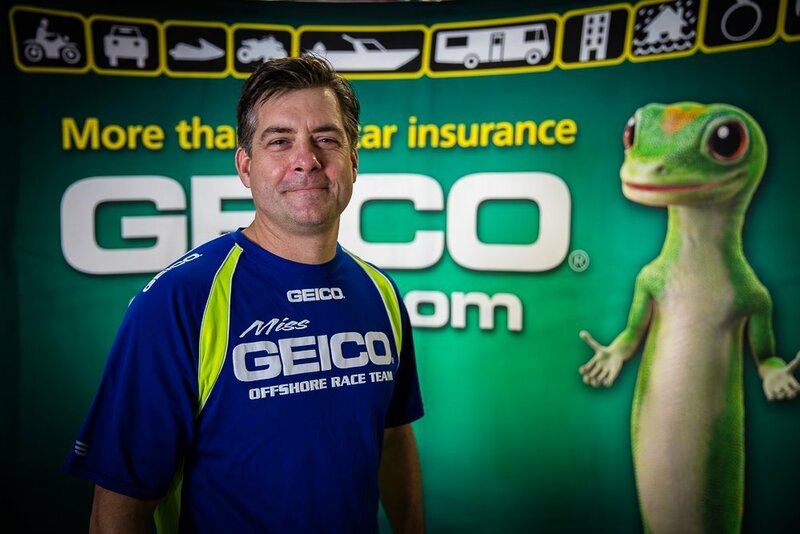 Cliff Moore: Operations Manager and manager of Kaase’s Marine Div. 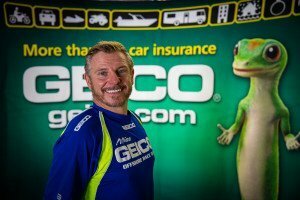 Stray (48), who’s in charge of Miss Geico’s entire engineering operations of which the engine package is a major part, knew his engines’ architecture would be a departure from Kaase’s normal fare. 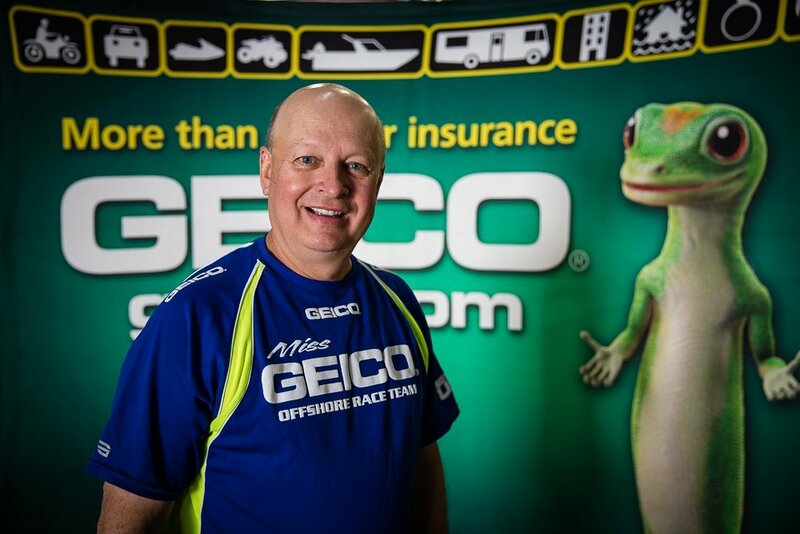 Geico’s power is derived from two 550cid V8 twin-turbocharged engines in each boat configured with double overhead cams, each generating 2,000hp and operating with fly-by-wire throttle control and boost control. So, he predicted a steep learning curve for any race engine shop that didn’t know boats. But Stray also knew of Kaase’s meticulous preparation and race engine history, including the numerous diverse power units that distinguished themselves so well in the national Engine Masters Challenge events. “We gave him all the data from the boat and other info we’d learned,” said Stray, “and he began attending the races with us to see how everything worked. We race Class 1 boats—which is an unlimited class, meaning you can race whatever you desire. Running at speeds close to 200mph, they are the fastest boats on the planet, and in 2017 we achieved total engine reliability throughout the season. Some of our races are 20 – 25 minutes in duration. It was a huge accomplishment. In eighteen months, we went from having an engine program that was struggling to one that was basically infallible.” Emblem of progress, success is the unifying element for any race team. 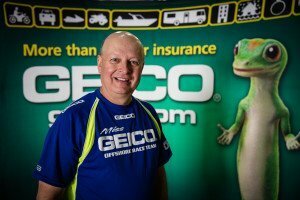 Yet, though Kaase is the name behind the company, on his own he would be unable to function efficiently without Cliff Moore, particularly on the marine side. 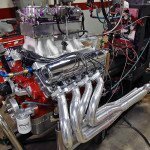 Since youth, Moore has been based at Kaase’s shop and accumulated twenty years of professional race engine development, testing and tuning knowledge. Efficient with his energy and time, Moore acts as Kaase’s leading technical adviser on all marine matters. Tectonic shift in technical regulations in the Extreme class: hopes of promising prospects? 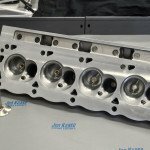 For 2019, new engine rules will be adopted. A new class, operating under sanctioning bodies American Power Boat Association and the UIM, will be restricted by a control ECU from Mercury Marine. 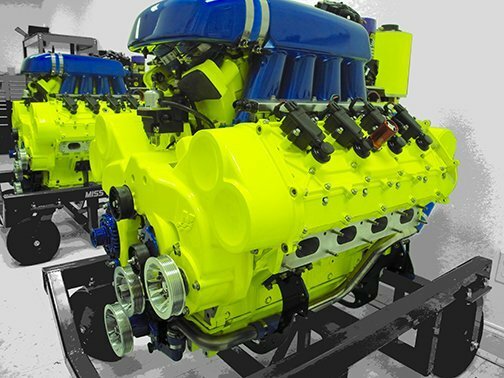 This device will reduce the power output of each engine from 2,000hp to 1,100hp and with maximum engine speeds of 6,800rpm and restricted propeller speeds. The objective is to diminish costs, thus attract more racing teams, encourage more boat manufacturers to become involved, and to bring about closer racing with more entrants—ideally 12 to 14. Until the 2016 racing season, MotoGP faced similar shrinking grid concerns when they switched from tailor-made factory electronics to a control ECU. 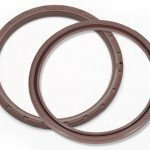 The technical reforms immediately reduced the potential for optimum machine settings, making close racing more viable. If top-level off-shore powerboat racing experiences a similar outcome, it will reach its pinnacle—winning will be thrillingly uncertain. 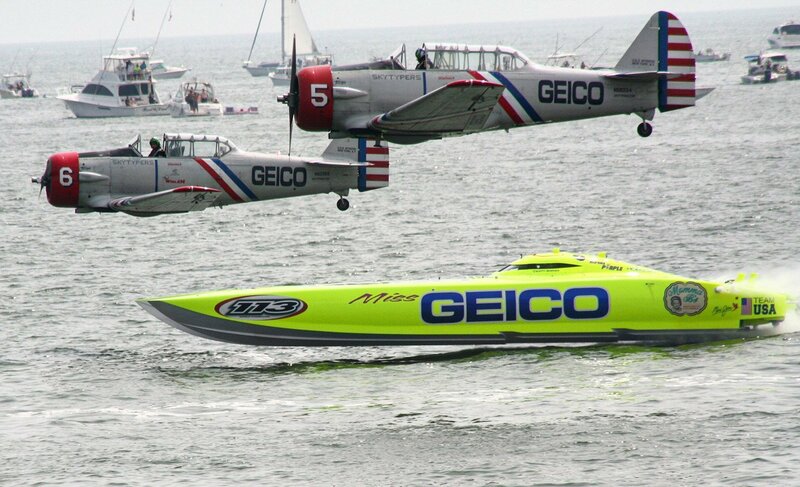 The three major human components of off-shore power boat racing are the driver, throttle man, and crew chief. In addition to the throttle man controlling the throttles, he also changes the boat’s attitude by moving weight, adjusting trim tabs in the tunnel as well as adjusting the water taps, which provide more or less lift. The objective is to keep the boat level. 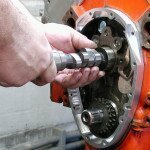 As the propeller hops in and out of the water, the throttle man is responsible for controlling engine speeds, thus preventing the engine from over-revving by continually floating the throttles back and forth. The driver’s responsibility is to drive the tightest course possible and the two of them strive to work as one. As mentioned above, the boat’s attitude or balance is adjusted by moving weight. This involves liquid ballast tanks, which are pumped fore and aft to compensate for head seas, where waves curl up towards you, or following seas, where waves fall away from you. Head winds, side winds, tail winds also play a part as to how the boat is balanced. On the other hand, the crew chief operates from the shore with data acquisition, monitoring up to 250 channels of data that relates to both boat and engine. Vital signs usually pertain to sea temperature and outside air temperature. Water from the ocean is used to cool the heat exchangers that cool the engines. 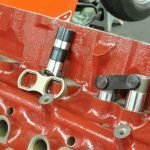 In the Florida Keys in July, for example, when water temperature is high, the heat transfer of the intercoolers needs to be monitored closely, as air inlet charge temperatures can soar. In contrast, if racing in Atlantic City, New Jersey the following week, where the air is cooler and the water much cooler, air inlet temperatures are almost inconsequential. 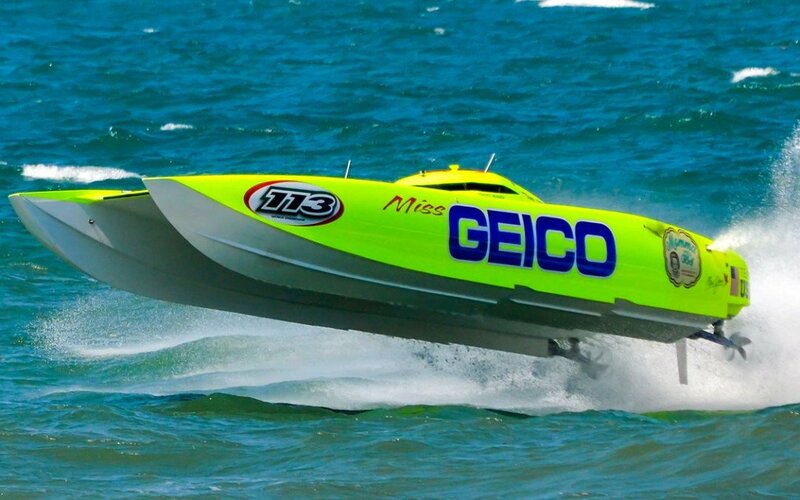 The Miss Geico team won the 2017 Super Boat International and OPA World Championships. They compete in 12 to 14 races per season and test their boats on the nearby Intracoastal Waterway at speeds of up to 200mph. For testing on rougher waters they head toward the open ocean.